Bronze Lamb Soft Leather Designer Coat. 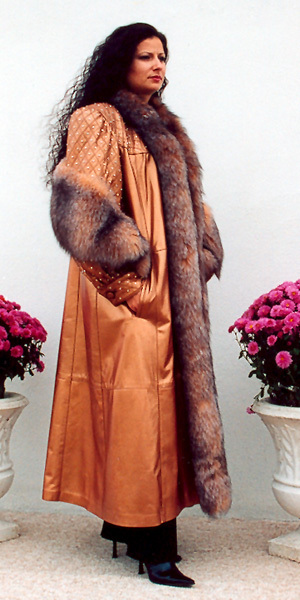 52" Long, Swing Body, with Crystal Fox Tuxedo and Crystal Fox Trim on sleeves. Rhinestones on Yoke and on sleeves. All with or Without Rhinestones on Yoke and Sleeves.